Small businesses in the UK and Ireland are showing positive signs in confidence and growth, according to a survey of 900 companies by The HR Dept. The company, which provides practical HR advice and support in Durham & Darlington and beyond, runs a survey among its growing customer base of SMEs each year. Further good news for the living standards of SME employees came from survey results which show that almost two thirds (66.2%) of responding companies nationwide are planning pay rises for their staff in 2015. Over a third (34.7%) of respondents expected to raise salaries by up to two per cent this year, with over a quarter (27.8%) opting for between two and five per cent and 3.7% promising pay rises of over five per cent. 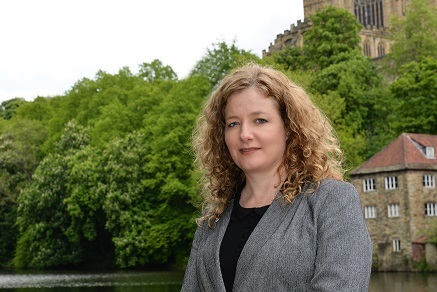 Alison Schreiber, Director of the HR Dept in Durham & Darlington, said: “With inflation having fallen since 2011 and currently hovering around zero per cent, it is encouraging to see that two thirds of companies are planning, or have implemented, a salary increase this year. “The results suggest rising living standards for employees of small businesses and their families, which is great news for them and also for the businesses, as wage rises are likely to increase employee retention and profitability. “It is also encouraging news for the small business sector as a whole, as the wage rise figures combine with the statistics on recruitment and falling redundancy to demonstrate that small businesses are finding life a little more comfortable following the trials and tribulations they have faced since the double-dip recession. The HR Dept is itself an example of a growing small business. Founded in 2003, it provides the full range of HR advice and practical support to small business owners who need corporate level HR advice provided by experienced professionals but without the cost of an agency or permanent in-house employment. Across the UK and Ireland the company’s number of territories is growing rapidly, currently at 75 and with a growth target of 100 set to be comfortably achieved by the end of next year. Ms Schreiber said: “The HR challenges for SMEs are growing all the time and the fact that we have had a record number of respondents nationwide to this year’s survey shows that our business model is suitable for the high demand for these types of services. General feedback was overwhelmingly positive from the HR Dept’s customers nationwide. The company achieve an overall satisfaction score of 9.27 out of 10 for all aspects of its services, with a rating of 9.4 out of 10 for likelihood to recommend services to other businesses.